This giveaway is now closed! Winners are Dawn and Kelsey! Thanks to all who participated! 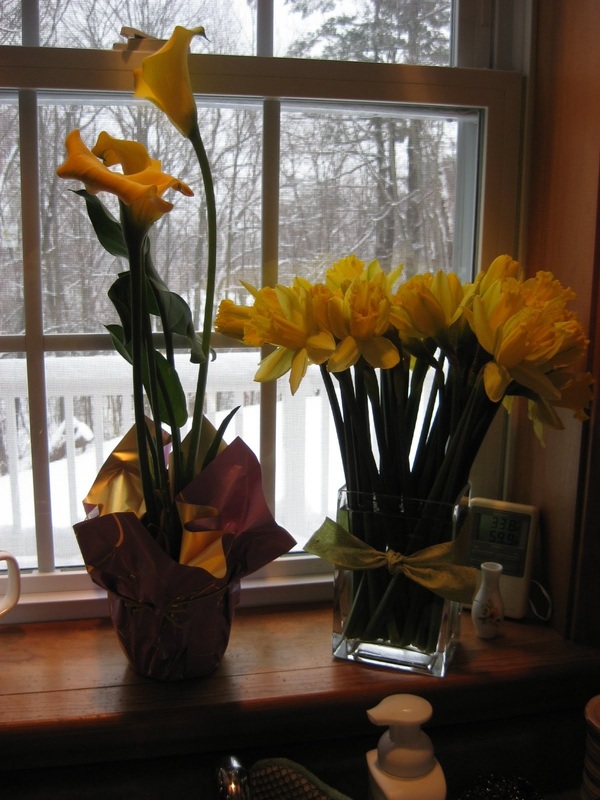 You can see through the window just how bright it is outside from all the snow, which makes the flowers in the windowsill look dark, but in fact they are so happy and yellow and cheerful, I can almost believe it really is spring! 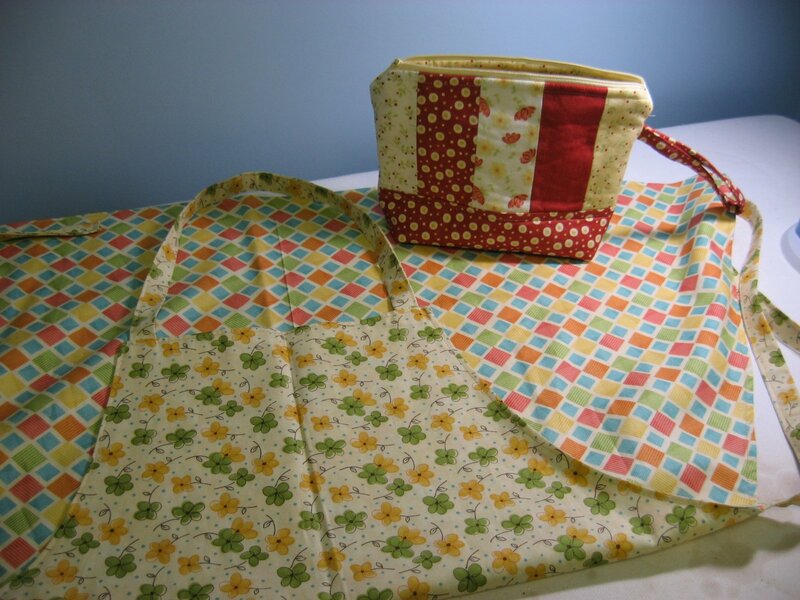 One of my little zippered accessory bags, made with a Sandy Gervais fabric line called Celebrate Spring, will go to one lucky winner. 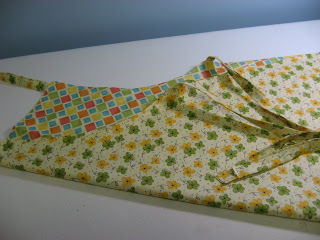 The reversible apron, made with another Sandy Gervais fabric line called Frolic, will go to another lucky winner. 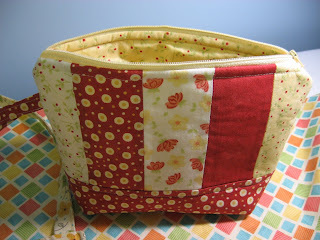 Don't you just love these fabrics? The designs are just perfect for spring, I mean real spring, not this snowy mess we are in right now! 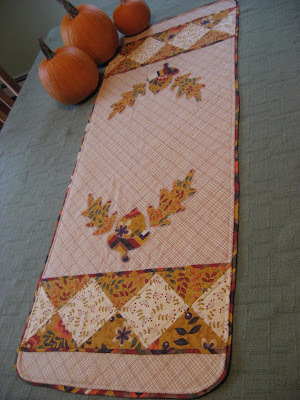 Frolic is one of my favorite lines designed by Sandy Gervais for Moda. The colors and designs are just so happy! 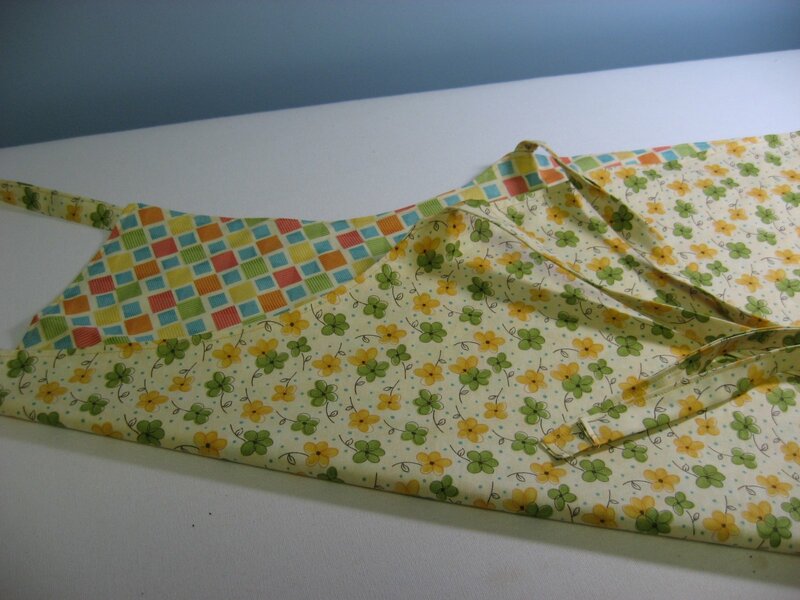 And everyone needs a fresh springy apron for all that Easter baking, right? If you would like to win one of these springy prizes, just comment on this post below, making sure that you leave your email address so that I can contact you if you win. One comment per person please, and only US residents are elligible due to the high cost of postage. This giveaway will stay open until Sunday evening, March 24 or until I close comments to do the drawing. I'd love for these prizes to arrive at their new homes in time for Easter! Ohio didn't get the message that it's Spring yet! It's supposed to snow all week! Have you passed your snow on to us? We've been having little showers, so strange for spring. We got snow again too. I am so over it already. Love your little bag. 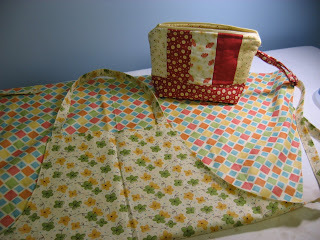 The fabric is springily delicious. 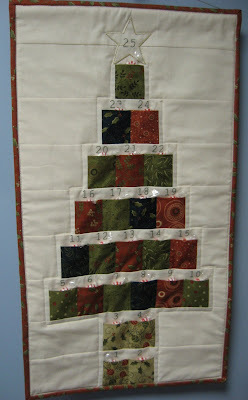 I'm so glad I happened across your lovely blog, and look forward to reading your posts. I feel really guilty - we are having summer weather (80's) here in Texas. I would love to see some snow!! Thanks for the giveaway. 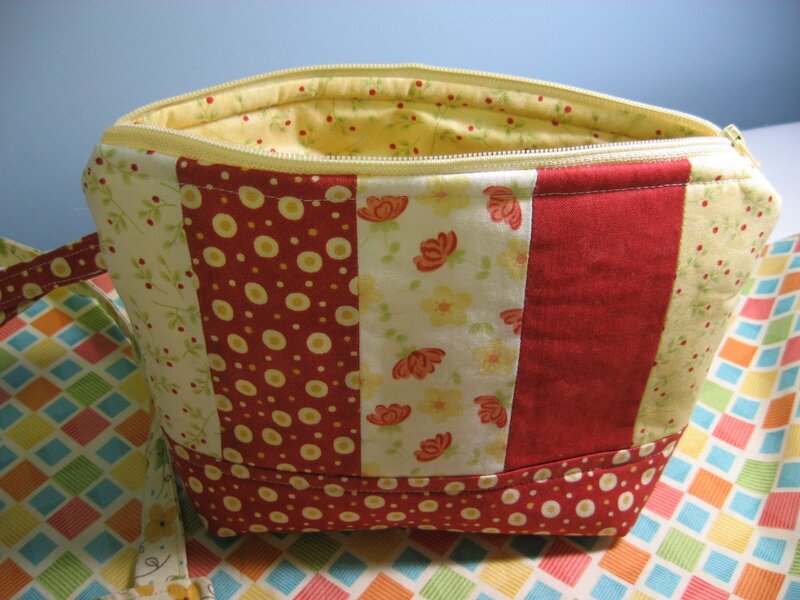 Love your apron and zippered pouch. Great fabric choice. Cool temperatures here in Tennessee. We had 76 degree weather over the weekend and today was in the low 40's all day! The material is very springy lol. Thanks for a chance at the giveaway.